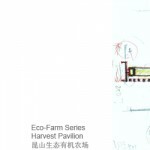 第7期为您奉上的是直向建筑主持建筑师 董功 ，更多关于： Vector Architects on gooood. You had been in the USA for seven years before coming back to China, and then worked in China for another seven years. What do you think you have changed betweeen those Two Seven years? 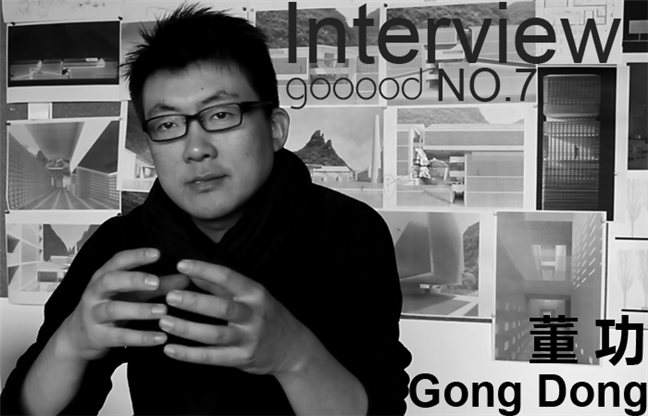 董：I think my goal in general has been always architectural design, since my early years and never been changed. The key difference between the 2 stages is that, the first seven years is the stage of experience accumulation; the second one is the stage of startup and practice. Under the current circumstance of China, the challenge for an architect is how to control the pace, you know,China is progressing very fast. I feel that for an architect, you should not be in a hurry; to act slowly but firmly, with more time for accumulation, would be better. In your works, there are quite a few sales offices, which are quite fresh in material and construction, and highly accomplished, but as a sales office, they are doomed to be ephemeral, and going to be demolished eventually; what remain at last are homely “Neoclassicism” buildings. How do you think about this condition that seems absurd? 董：The Neoclassicism buildings were not made by us, what we had done is the part doomed to be demolished. I feel rather helpless on that, and I think only in China you can see that, the sales office is often much more interesting than the long-lasting buildings. I have been to a sales office too in US. There are two glass residential towers alongside the Hudson River designed by Richard Meier, and the sales office is just a very simple space renovated from an old factory building. Perhaps within the Chinese commercial culture, the publicity stunt is so crucial for a successful sales achievement.I think this kind of condition is a delimma for Chinese architects.I discussed it with Teacher Liu Dongyang a few days ago, when he visited my project in Bayuquan Yingkou. 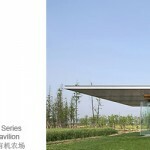 I think many independent architectural firms in China, especially the small ones, are related to such a building type. It’s not difficult to understand the case. Only a building within such kind of small scale like the sales office, the clients are willing and capable of focusing their energy to make it perfect. The “energy” refers to the financial investment, the ability of controlling the quality, etc. If the building scale gets bigger, the client might become less proficient. From my own perspective, how to say, there are not much difference of designing a “short-life” building or a “long-life” one, in term of how serious I treat the design. I do as much as I can for each project. ‘Temporality” dose not necessarily equal to low-quality-construction. The nature of temporality even could be positive as a lead of the inspiration, such as the Guanganmen project we designed in Beijing. But for now, after five years of the inception of Vector Architects, I would not be very interested by a sales office project for many complicated overlapping reasons. I think there are always strong logical relationships in the materials and construction details of the buildings you have designed, but perhaps for the audience crowd, what you try to achieve is rather irrelevant. How do you think about that? 董：I do not agree. I don’t think what I want to achieve is just for the professional standard, and would be irrelevant to the general audience crowd. I would rather believe that, we made many efforts on the materials and details, and when a regular prople walks in, he (she) would feel something different, although he (she) could not explain why. 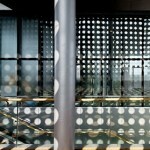 I believe that as a space for human experience, the details could always make difference. The importance of details is no less than concept. They are just 2 different aspects of one thing. You can’t simply say which one is more important than the other. Recently, Vector Architects designed a sales office for Vanke Group, in which there is a particular passage for public crowd, with no direct linkage to sales, could we understand that you take advantage of the business capital to undertake public welfare? And have you faced any difficulty in that process? 董：I don’t think that kind of understanding is accurate. Good business is not always on the opposite side of public welfare. Business should be part of the social advantage. It’s a pity that it is so hard to be realized in China. But this project has its own particularity. The Vanke sales office is located in a public park. Therefore, it is important for the building to establish a kind of good relationships with the citizens nearby. The government agree with the idea as well, since they have to be cautious of permitting a developer’s building being built at such a public spot. So Vanke Group, the government, and I have the same notion about the “public passage” at the first place. Actually it was the reason why I was interested of being part of this project. It is a challenge of dealing with the relationship between the public and private, as I always addressed in when designing a building in the urban context. 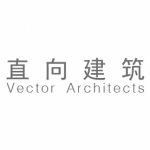 Vector Architects has done many designs in a few years, and each of them is highly accomplished, it’s rarely seen in the architecture firms of same scale. How do you manage to finish all these projects in such a standard with a so young team? Have you meet with any insurmountable difficulty? 董：It’s not so sophisticated as you think. A team is an accumulation of energy. How far the team could march forward within a certain period of time, will depend on the amount of energy that the team could hold. We have done so many things in so few years. It is definitely related to the active engagement of the team. But on the other side of the picture, the problems of its own also rise, such as overloaded working pressure. I think we are at the stage of transition, from rapid-rising to sustainable-developing. People always mention the fine finish quality when they talk about our design work. I don’t think that is the core of our design. We just did what the qualified architecture firms should do during the execution procedure. If you see something different, that’s because the average line in China is too low. We think we should achieve our standard, and we fight for it, while some other architects in China would not notice, or desperately believe that even they want to do, the workers and client would be too unprofessional to cooperate with them, so they might just give up. We just spend more time and energy on this issue. I had noticed that most of your projects, such as Yangshuo project, harvest pavilion project, are located in remote area with nice scenery. But the projects with the vastest audience, such as residential compound in first-tier cities, major public buildings, are mostly done by big designing institutes or foreign architecture firms, how do you think about that? Do you think some of the Chinese architects should be more responsible? 董：I don’t think it’s the problem of architects. It’s problem of environment of this profession, and I dislike it. I think the private design firms could do better if they get such opportunities, because they have better design capability and more responsive in general. Projects like what you have mentioned are difficult to distribute to design firms like us. There are many reasons for that, for example, the major governmental projects are often assigned to “players within the system”, and the independent design firms would be excluded. I have undergone repeatedly that the governments of the second or third-tier cities, let alone the first-tier cities, don’t know what an “independent design firm” was; “some under-rated, marginal units “, they would think perhaps. But I think along with the rising power of us, this situation is changing. As for the residential projects, we always keep distance to them. It is because most of the residential projects are all merely commercial goods for selling in china. We want to make residential building a space for life experience, but we gradually find out the decision maker are not in the same line. So we’d rather keep ourselves away from it. In recent projects, you get inspiration from the nature, and bring up the concepts of “emptiness”, “distance”, “lightness”, “transparency”, which remind me the ideas of Zen. Where all these concepts come from, and how do you define them and their connections? 董：I think the concepts are related to personality, inclinations and interests. 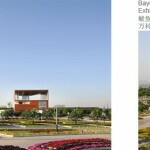 Another reason is most of our recent projects is located in natural landscape, so I have more chance of thinking of the relationship between the nature and the building. Furthermore, I always believe that an architect should has a reverence, or even awe, to what is called “Tian” in Chinese, or “nature” in western culture. That means when you are on a site, you should understand site with your heart. Because no matter how lackluster a site seems to be, it always posses something energetic and meaningful for architecture. The relationship of place and site becomes more and more appealing to me. It became the topic of my lecture in a university. If you look upon building as a kind of media, or a potential power, a kind of being, its involvement to site could make it into a place, something people could feel and experience. Once a person begins to experience a site, he (she) would build up some kind of relationship with the site, otherwise it would be only a physical existence. How to build that kind of relationship is the major issue that I pay more and more attention in the project in Yangshuo hotel, Cafe In The Orchard , and projects in Kunshan. The key is how to release the potential power of the site by the ingenious involvement of building, make it something could be experienced by people, that’s just the meaning of the key words you mentioned before, such as “emptiness”, “distance”, “lightness”, “transparency”. These words represent some intuitive understandings on the relationship between space and landscape of mine, but that doesn’t mean we would use them dogmatically in each project. For example, there is a kind of relationship between “emptiness” and “distance”. A building in a certain environment, per say, a broad landscape, should achieve its ultimate value– to make a more active relationship between landscape and people. That means if there is not the building, a person might be able to experience the landscape, but with the existence of that building, he (she) could experience the relationship of a place and the landscape, a relationship of sublimation, not the raw physical relationship. Only “emptiness”, the void in space, or a kind of relax psychologically, could build a kind of relationship between the faraway landscape and a certain space. The end of the most pure state of emptiness, may be is to absorb, absorb the influence that the landscape could make on the building, and the same for “lightness” and “transparency”. Within our recent projects, we have a tendency to make a building interpose the nature with a gesture of lightness, to build relationships with the surrounding earth, sky and landscape. I realized that in the projects of Vector Architects, either previous or current, city or countryside, you rarely use curve and organic shape. At least for me, though in some other architect’s works there are straight lines, but you could not notice them; but in Vector Architect’s works, straight lines jump out as an un-ignorable existence. And you often use rough materials, for example, exposed concrete, rusty iron with strong textures. And even the color you like the most is the dramatic ones, such as bright orange. How do you define all these elements? Are they your personal inclination, or style? Would they be kept being important, or turned fading in the future? 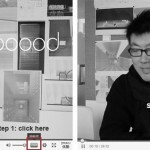 董：I think a designer should have an direction, an attitude, a stand point, that’s something metaphysical, for example, the source of your idea, your view on culture. 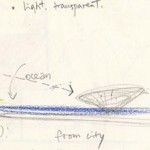 When a project comes to your hand, these things could be materialized into the language of design. The elements you mentioned, such as the straight lines, the choice of texture, maybe related to the language of design, which is really personal. I don’t think my way is the only right one, never was it. In a certain project, in a given site, if you choose 100 good architects all around the world to submit their works, you would get 100 different answers, and in great possibility that all the answers are right. What I had done is rather personal. I don’t think there was anything absolutely rational. That doesn’t mean logic, reasoning is not important, you must make many things clear in the first stage, it’s the foundation of design. But at last, the close relationship between building and people could not be expressed by merely logic and reasoning. It also relies on the designers’ affection of emotion, from their heart. So more often than not, why a building is built by iron rather than stone could not be explained only by reasoning. Of course, I must point out that design is not the same as art. In art, you could do without explaining why, but in design, you must know the reason why you do in that way. But furthermore, I still think that a good design comes out from a designer is not the direct result of reasoning. A good design is a process of morphing: you melt all these physical reasons with personal feeling and wisdom, and then cast them into a new thing. Maybe you could not find straight lines connecting the beginning and the end of a design, but you can see some more sophisticated connections under the surface. 董：Indeed, I am beginning to be interested by the concept “heaviness”. Such as the model of the Cafe in front of you, you can see a part that crouching on the ground, it’s heave, and another part is floating, it’s light. You can see the relationship of lightness and heaviness. And in our project in Yangshou, you can see the expression of “heaviness”. I think a designer should suit his (her) measures to conditions, you should chose your answers according to the environment and local culture. For example, in the Kunshan Project, I think in the culture of south of the Yangtze River, the relationship between the buildings and the surroundings is something between attachment and detachment, something vibrant and ethereal, so I choose the theme of lightness. But in the north, such as the Bayuquan Vanke Brand Centre project, is something heavy: a big wooden box on the top of an earth slop, only if you step into that space, the metal surface could give you a feeling of lightness. Vector Architects is only five years old, with only six or seven accomplished building, so I don’t think our style has been fixed, so to ask “how would we change” is a rather irrelevant question. I don’t believe we had brand-like language like famous architects, like Richard Meier or Sejima, and I don’t think I should become someone like them. I don’t agree with some designers of adding the “label” of him (her) on every project, since each project has very unique background and context. Then, is there something you would insist along the way? 董：I think Vector Architects has gotten a certain way of doing things, it’s a kind of attitude, earnest and down-to-earth rather than ungoverned and floating-in-sky. I hope as a company, Vector Architects could keep in that state, even after five or ten years, be earnest and down-to-earth in each project. I think I would change by time, change according to different conditions, when you go further and further, you will definitely change, it’s good to change naturally. But the attitude is what I would keep. In Vector Architects, the fundamental goal from the beginning is to design good buildings, rather than do something irrelevant to the building itself or achieve some wild ambition, it would always be true to me.